Getting Help On the Road to Resolution. Santa Clarita families seeking guidance in Family Law matters, may prefer to connect with professionals who provide low cost, affordable alternatives rather than hiring an attorney. Over the past two decades Law Freq Legal Services has assisted more than a thousand individuals complete the steps necessary to take when dealing with a family law case in Santa Clarita, CA. Now we’re ready to help you. Call us for Family Law Assistance in Santa Clarita. We’ll help you with the paperwork – whether it’s a divorce, a custody battle, visitation or support problem, a property issue, or restraining order – we’ll help you get past the heartache and pain, to resolve your problem. 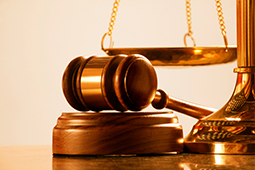 Call Law Freq Legal Services for affordable legal help. It’s the best advice! Santa Clarita residents who have Family Law cases within its jurisdiction fall under the L.A. County Superior Court Local Rules. Having access to professionals in Santa Clarita who provide general legal guidance is an affordable alternative to hiring a Family Law attorney in Santa Clarita. Contact Law Freq Legal Services for the guidance needed in resolving a divorce or marital problem. For many Santa Clarita residents, the most important issue to overcome during a divorce case is child custody. Custody battles can be an exhausting and expensive procedure. However, Law Freq Legal Services can help resolve these issues by providing customers with the proper documents and general legal guidance necessary to win a custody battle in California. Santa Clarita residents can contact us for more information regarding Custody Battles and general family law or divorce law matters.